Small amusing monument, opposite a similar lion (Sad Blone). I do not know what animal was the first, but same lions are in Petrozavodsk and if memory does not change, in to Gatchina. 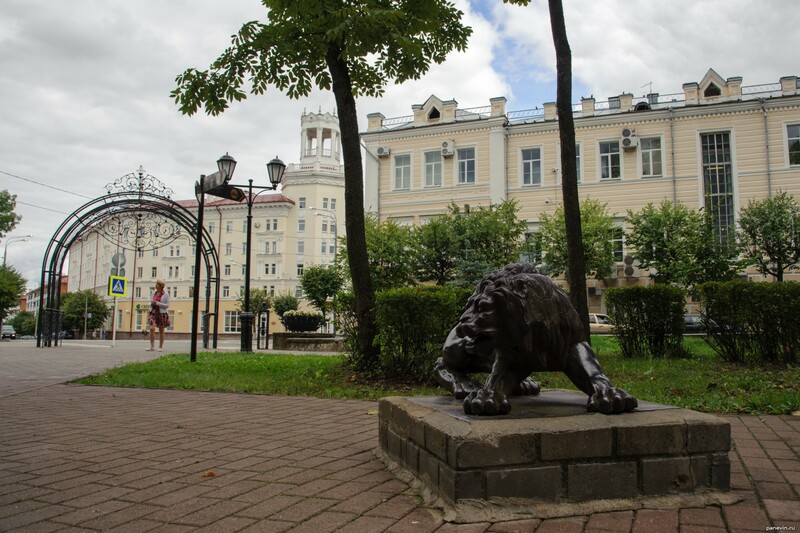 Blog, posts attractions, cats, monuments, Smolensk.